Hand chop the garlic, parsley, and cilantro until fine. Combine with the oil, lemon juice, salt and pepper until well mixed. Store in a covered container in the refrigerator. 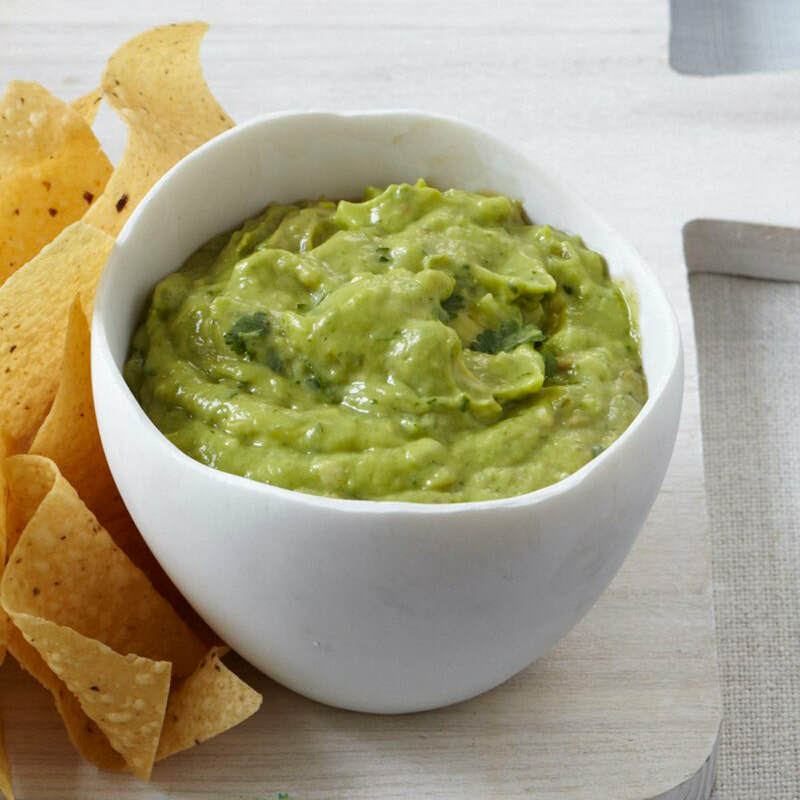 Avocado: In a small bowl, mix the avocado, lime juice, onion, cilantro, salt, and pepper. Store in a covered container in the refrigerator no more than 1 hour.